"Re-imagining" is the new thing for bands to do with their back catalogue; some groups re-record with newer band members, whereas others go the acoustic route, and there are even some that go for the full orchestra option. 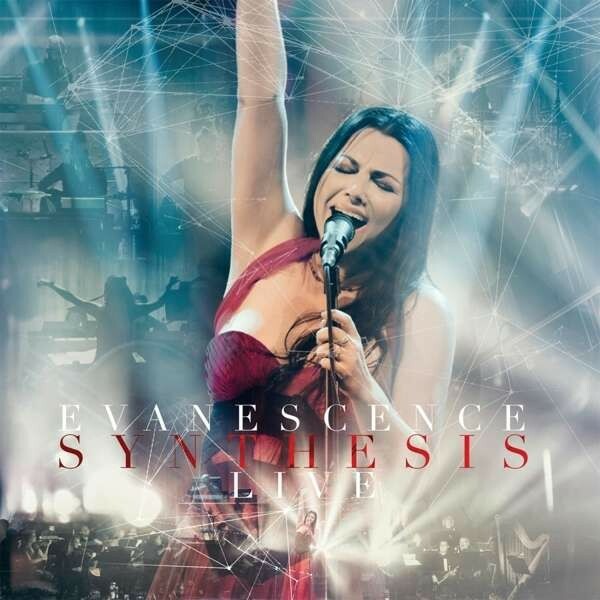 Evanescence were always going to go down the orchestral path, and they did so beautifully with the 'Synthesis' album, for which Amy Lee has stated, "this comes from the core, the heart of the original vision for Evanescence". 'Synthesis' the album became 'Synthesis' the tour, and this is where we find ourselves, at the Grand Theater in Ledyard, Connecticut, where this concert CD/DVD was filmed. The shows were, in essence, the 'Synthesis' record with a few extra songs thrown in for good measure. The instrumental 'Overture' opens up before segueing into 'Never Go Back'. It's clear that the concert is all about the lyrics (plus the emotions they evoke through Lee's voice and the orchestral backing) because the performance features only a basic backdrop and functional light show. The huge sound and powerhouse vocal of 'Lacrymosa' makes us question the myth of sirens, while 'Lithium' is greeted with rapturous applause as is their signature tune 'Bring Me To Life', and they all sound better live than their studio counterparts; Lee's voice seems to have gained a richness about it. Elsewhere, 'Unravelling', an instrumental piece showcasing her prowess on the piano, leads into the majestic 'Imaginary'. There isn't a lot of interaction with the audience between songs, but she does thank them for breathing new life and meaning into the emotional 'My Immortal'. I always preferred the original album version rather than the full band one, which made it sound like a power ballad, however, this version takes it to a new level. The concert ends with the delightfully sublime 'Swimming Home'. If you attended any of the shows on the tour, then this is a great souvenir that will give you goosebumps with every viewing. If the tour passed you by, then go out and purchase this to see what you missed. I suspect you will kick yourself as this was something truly special, and I haven't even mentioned 'Secret Door', 'Good Enough', 'Your Star', and 'The End Of The Dream'. This release is really quite stunning!